:: That perfect cup of tea (Favorite is decaf Constant Comment. We have about ten different tea boxes on our stove though!I love it!) I have a thing for pretty or meaningful mugs. This one I made this one for Josh is often used! :: A good book. I have a "fun" one on my list from a friend at church to read, but first I promised Josh I'd read one of his books. I am about two pages in. :: Big, warm blankets. I make a point of having super soft big ones around. I want our kids to remember home as a cozy, happy place. To me, a warm blanket just goes with that! :: Messaging a good friend while cozy in bed. I love a chance to just curl up under the covers and enjoy a little downtime. It's even better yet catching up with a friend. :: Warm toes. I am more and more like my mom here. If my feet aren't warm, I just can't get comfortable! This is the time of year I wear fuzzy socks with everything! The day is just better with them! Especially the blankets. Even when it is hot, I have a hard time unwinding without a soft blanket. It's like I'm a baby or something haha. Also, isn't it strange how we become more and more like our moms as we age? Yay, Laura, thanks for linking up! 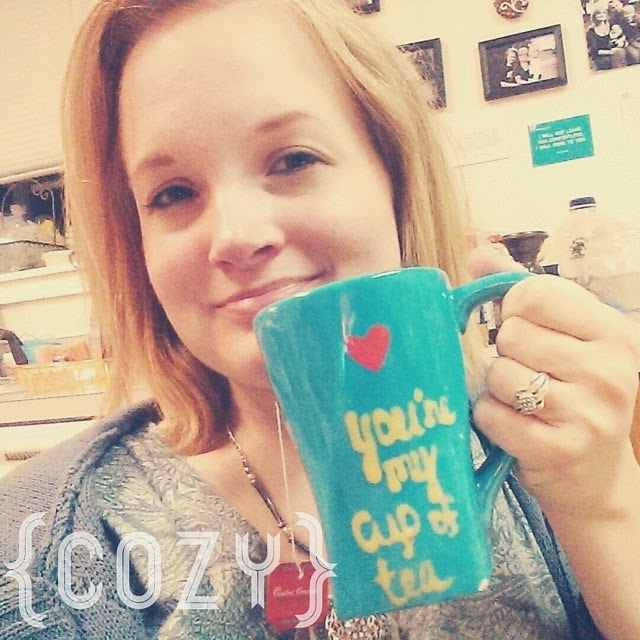 :) I love that mug you are holding in the picture, I need one of those in my life. And I love this list! Good books and warm blankets are so deliciously cozy for me, I totally agree with you. Hi there! 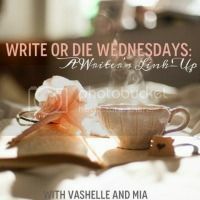 checking out your post from the WODW link up! amen to the big warm blankets and fuzzy slippers. It's mandatory coziness supplies!